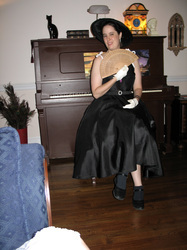 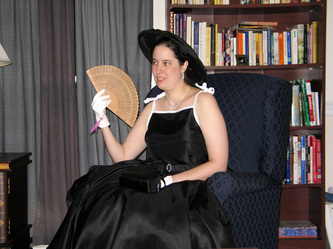 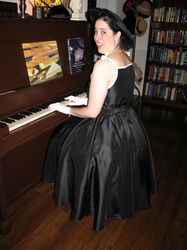 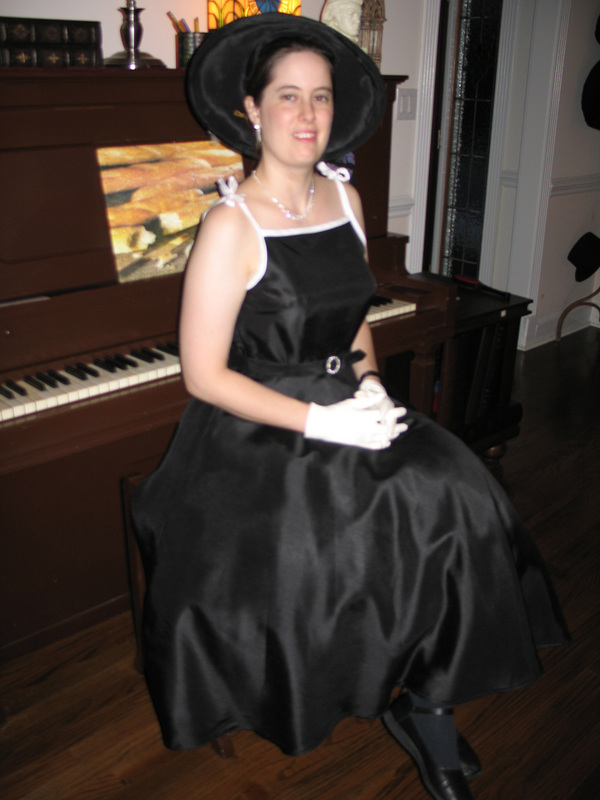 I made this dress the year I took up swing dancing, and decided I needed something a little fancier to wear to dances. 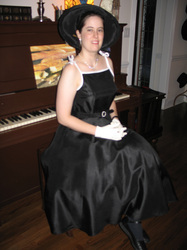 I used Butterick pattern B4513, which aims for a Dior-style New Look dress. It went together fairly easily; the use of bias tape to edge the top was particularly convenient. 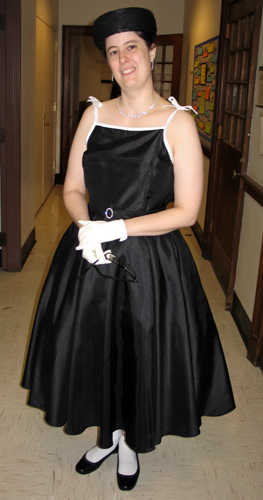 I made the crinoline out of a basic a-line skirt pattern sewn with rows and rows and rows of endlessly gathered tulle.